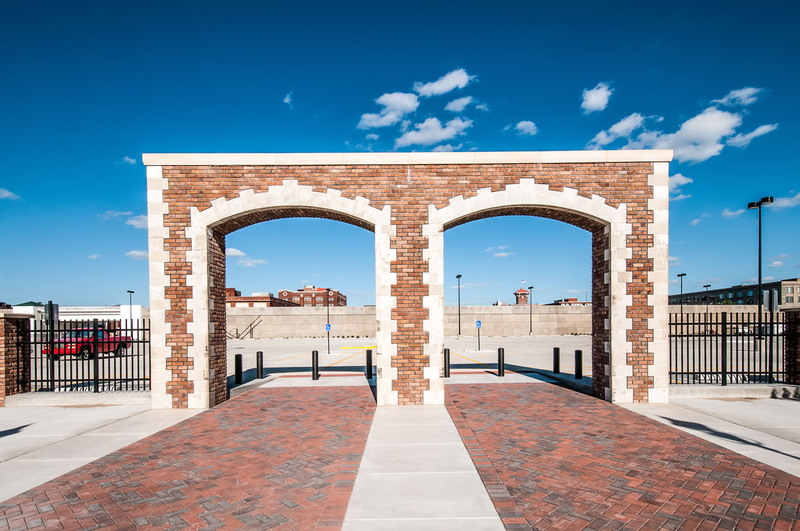 LK Architecture was awarded this project by a selection committee comprised of the City of Wichita, Sedgwick County, Downtown Development Corporation, Downtown Rotary Club and the Coleman Company. The site was the location of the original Coleman Company factory located at Second and St. Francis in downtown Wichita. Ongoing environmental issues limited the usability of the site to surface or structured parking and the entire property was required to be “capped,” which limited opportunities for green space. 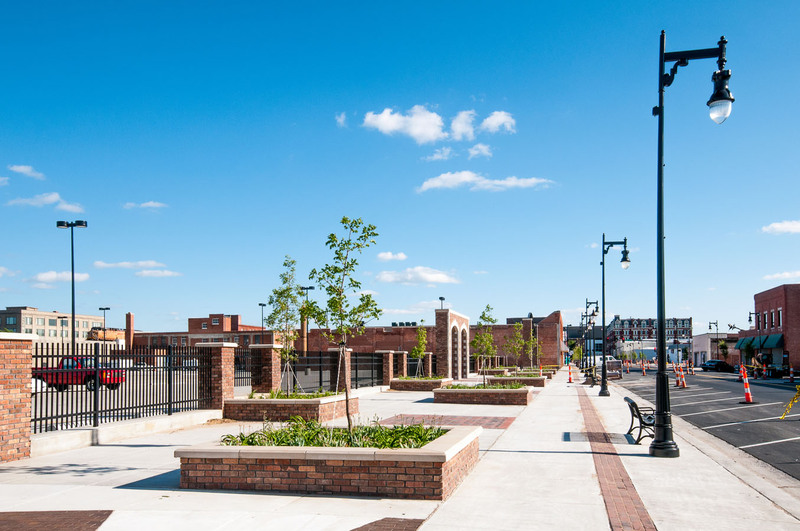 Multiple goals were addressed by the design team and the final objective was to maximize available parking while creating a functional urban space that responded to the Downtown Revitalization Master Plan. 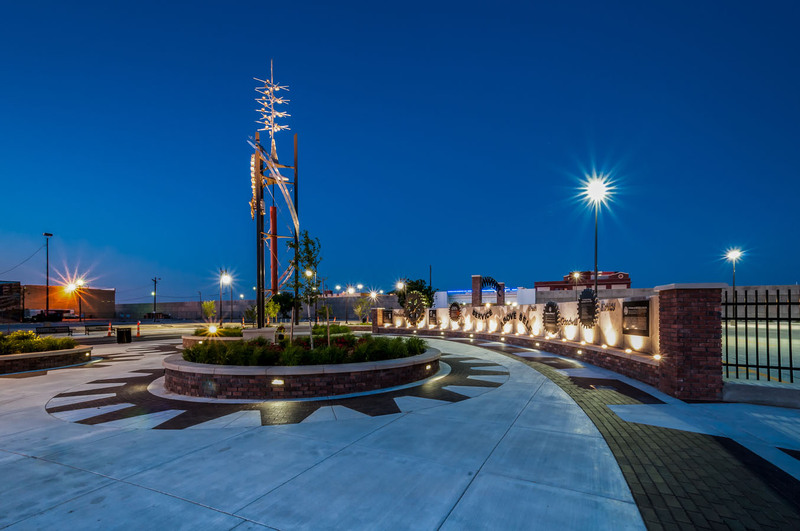 Additionally, the final design included a significant memorial to the Downtown Rotary Club to mark their centennial and pay homage to the Coleman Company. 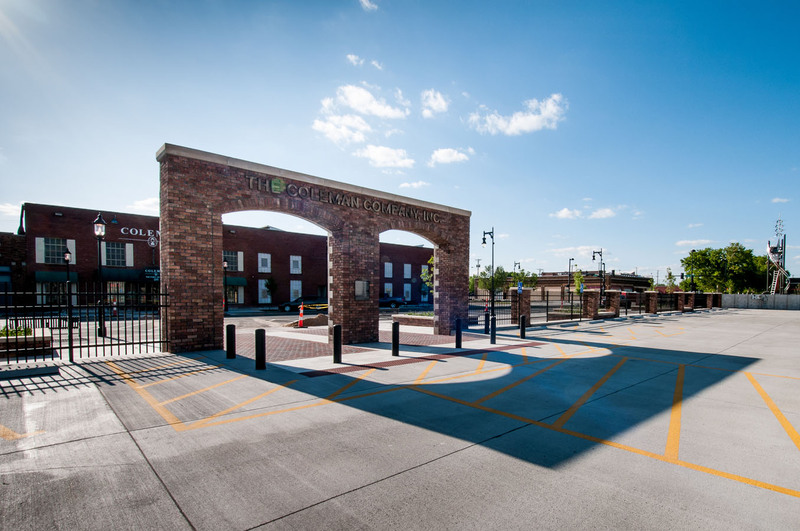 The final design includes salvaged brick from the original Coleman Company building, which were used in creating the perimeter fence and raised planters. 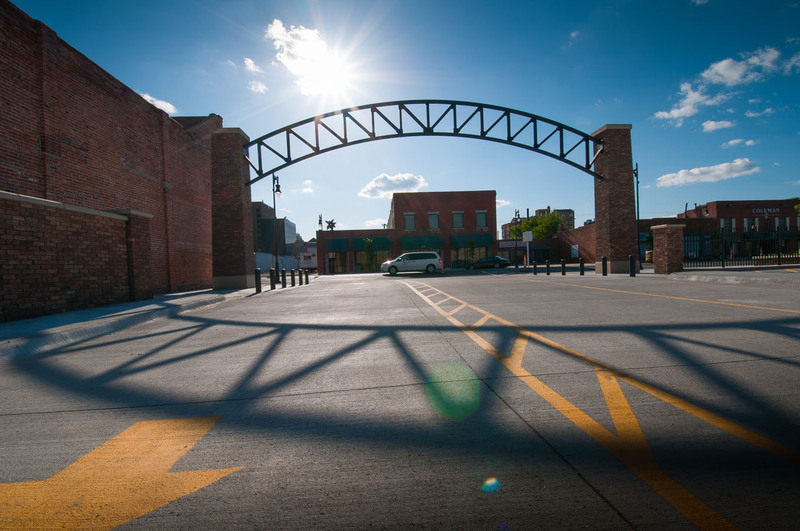 Replica steel arch trusses were utilized at the two parking lot entries, which were reminiscent of those found in the building. Additionally, nostalgic Coleman street lights were used at the mid-block crossing and tie directly into the entrance of the Coleman Factory Outlet and Museum. 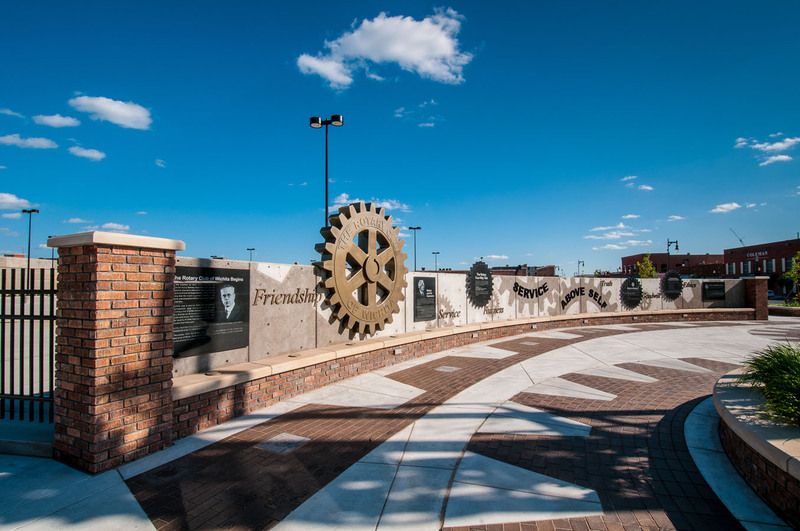 The Rotary Plaza uses imagery of the cog wheel in various applications and features an interpretive wall describing Rotary Club and its history in downtown Wichita. The focal point of the plaza is the Rotary Tower. 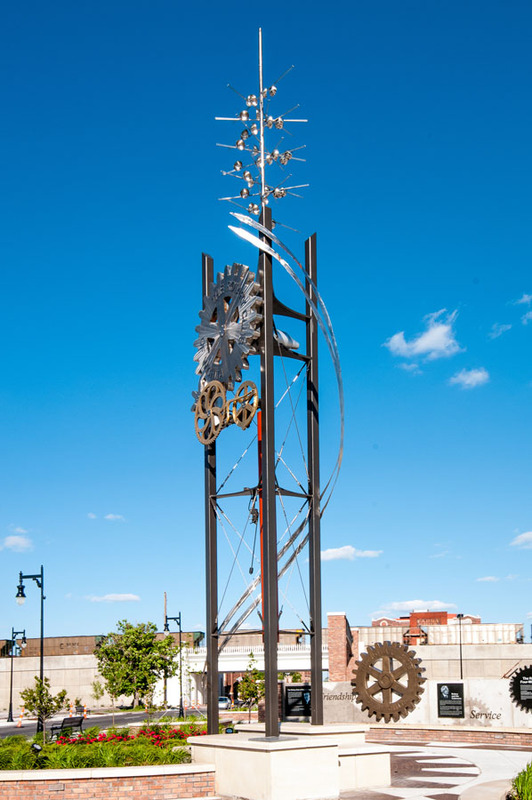 Designed by local artist Todd Whipple, the contemporary tower uses cog wheels to pay tribute to the industrial past. The tower is operable with the cogs turning at roughly 2 rpm and chimes at each quarter hour. A stainless steel ribbon and kinetic wind element add a touch of whimsical movement to this unique feature.